I cube up cheese. Now I cant say exactly how much because it depends on how big your pan is. My pan can hold half of a Velveeta block and one small block of cheese. I add the cheese to the bacon grease and melt it down. I splash some Half & half in to help create a more liquid texture. Next I add the noodles after they have cooked and were drained. Mix together well and incorporate the bacon. Next I add bread crumbs or Panko for a bit of crunch. Mac and Cheese is just one of my favourite meals, I don't think I've ever made it from scratch but I really should as I bet it taste so good! OMG! This looks delicious. I've never added bacon grease to my recipe but I imagine it amps the flavor quite a bit. This is a great combo! I definitely like the added bread crumbs. When I was younger I was always happy to have some macaroni and cheese after school. I admit, I have NEVER made homemade mac and cheese. I need to try this out. It looks SO much better than the box. SO much better. Looks amazing! My grandchildren are all about good mac and cheese! I never thought about leaving the bacon grease in the pan when adding the cheese to melt - great tip - thank you. Oh yum! Homemade mac 'n cheese is always a big hit with my kids! I have honestly never put bacon in it before and now I see I have been totally missing out! Oh my goodness this looks so delicious. My mouth is watering! 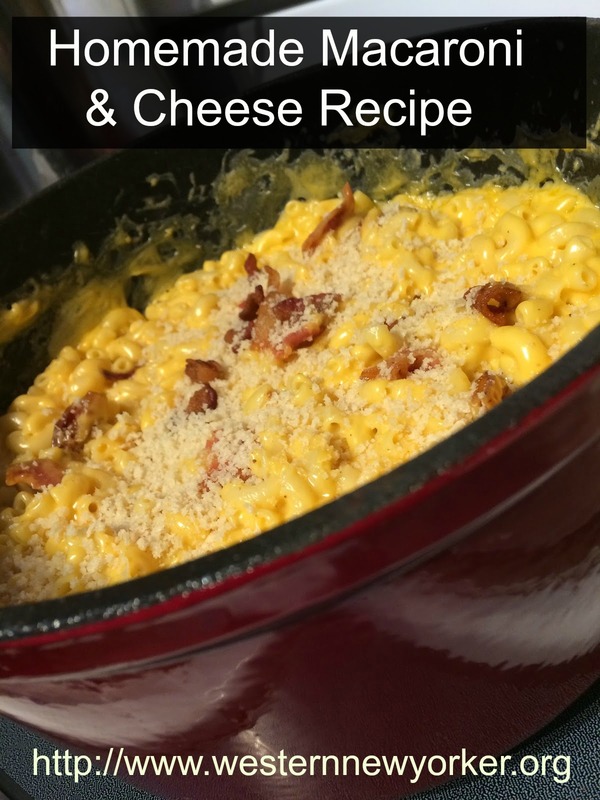 The only way you could make cheesy creamy mac and cheese better is to add bacon! Yum. There is nothing better than homemade macaroni and cheese. It's one of our family favorite recipes for dinner. This recipe is sure to be a hit in my house. i will have to add it to my meal plan for next week. It looks so delicious and easy to make. I love homemade mac and cheese. Good recipe but I have to remove the bacon because I personally cant eat pork. It makes me hungry just by looking at it. I love that you incorporated a little bit of bacon in there. Homemade mac and cheese is like THE best thing on the planet! Love the sound of your recipe and wish we could get Velveeta in the UK! Homemae macroni and cheese it one of my absolute favorite foods to eat. Growing up we only eat it home made, adding bacon or crab makes it even better. This looks delicious. Ugh!! I really love mac and cheese such an avid fan of that dish. I definitely try your own recipe. Looks so delicious and tasty. Thanks for sharing!!! Goodness that is one scrumptious looking recipe. I have mac n cheese every time the grandkids are over so I hunt down new recipes and ways to make it. I love making homemade mac & cheese. Bacon makes anything better. My son loves having pulled bbq pork on top too. I love making homemade mac and cheese. I love how you added bacon. My husband would LOVE that. Love the addition of bacon here - it makes everything better! We have the same recipe for mac and cheese! I also add bacon. It just makes the dish taste better. I have to try adding Panko. That would be interesting!